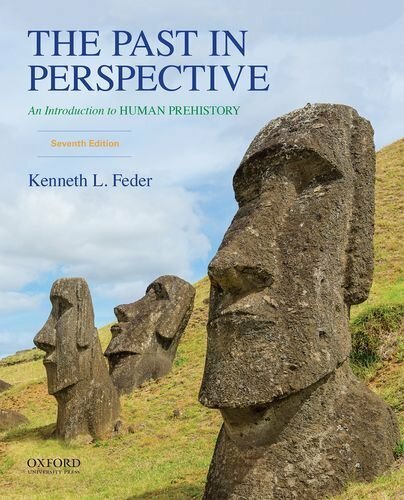 190275855 -Ideal for introduction to archaeology and world prehistory courses, The Past in Perspective: An Introduction to Human Prehistory, Seventh Edition, is an engaging and up-to-date chronological overview of human prehistory. Kenneth L. Feder introduces students to “the big picture”–the grand sweep of human evolutionary history–presenting the human past within the context of fundamental themes of cultural evolution. Feder’s unique, refreshing, and accessible narrative personalizes the past and makes it relevant to today’s students. Using a consistent chapter format–“Prelude, Chronicle, Issues and Debates, Messages from the Past, and Case Study Close-up”–Feder helps students master both what we know and what is still debated about the complex story of the human past.